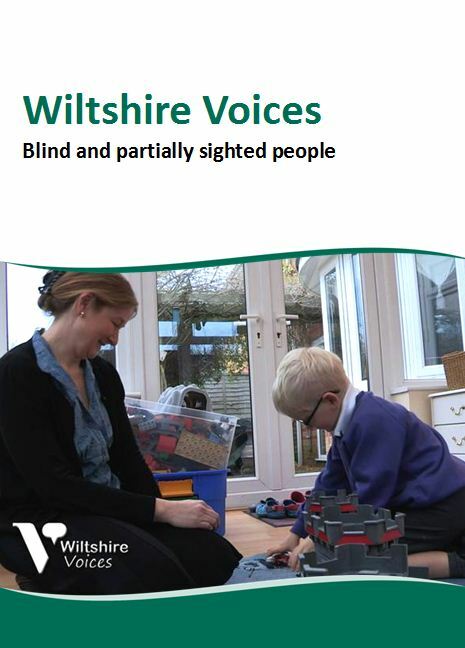 Blind and partially sighted people in Wiltshire have spoken about the challenges facing them as part of the latest in a series of DVDs capturing the missing voices of Wiltshire. Wiltshire Council has been recording the thoughts of different groups of people who may not always go to meetings to make their views known so their experiences can be considered in key decision making. This DVD is the latest in a series of 12, known as Wiltshire Voices, which have so far included interviews with rural families living on poor incomes, polish people, stroke survivors and live onboard boaters. It focusses on blind and partially sighted Wiltshire residents and involved research with 40 people with five people being highlighted in the film. Those interviewed talk about challenges with work, receiving support and what help there is available. The film highlights and celebrates good practice as well as spotlighting the challenges and difficulties which exist for many people in Wiltshire. It is hoped by giving the film wide coverage the voices of blind and partially sighted people will build empathy and perhaps shift common misconceptions. This should help stimulate responses, ideas, projects and action at a local level be it by individuals, voluntary and community groups, the council and/or its partners. Those taking part in the DVD will be at its launch this Friday (March 1) at St John’s (where) in Trowbridge where they will be discussing and debating the key issues raised in the film. 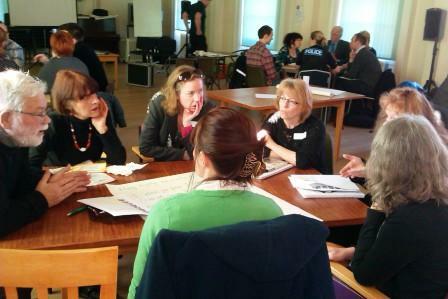 It will be an opportunity to share good practice and learning, and identify actions they can take forward together. The short films will be used in group situations to lead discussion and action by schools, service providers, organisations and local decision makers. Area boards throughout Wiltshire will be using the films to better inform decisions. The films are being put together by BAFTA award winning filmmakers True Vision, and will be available on DVD and online. The project has received central government funding awarded by the Wiltshire Public Service Board. The DVDs have captured the stories, views and opinions of a wide range of different groups from army wives, live-aboard boaters, unemployed youngsters and stroke survivors. The latest DVD in a major project to capture the views of people who’s voices are often missing from civic life has given an insight into the lives of Polish people living in Wiltshire. A number of Polish people living in Trowbridge have been involved with the project and appear on a DVD, explaining how they have settled into life here and the differences to living back home. The film shows some of the challenges they face in relation to issues such as language and employment but also looks at the hopes and dreams for their own and their children’s futures. The DVD is the latest in 12 films being put together by Wiltshire Council to hear the views and opinions of people who may not normally attend meetings or get their voices heard. Called Wiltshire Voices, the short films will be used in group situations to stimulate discussion and action by schools, service providers, organisations and local decision makers. Area boards throughout Wiltshire will be using the films to better inform decision-making. The latest Wiltshire Voices film is now online, it features older people in Westbury and Salisbury. Launch date now confirmed: 1st March at St John’s Parish Hall, Trowbridge. The launch of the latest Wiltshire Voices project with the Polish community will take place in Trowbridge on Tuesday 19th February.